No TV Report Card this week because too many of my shows are in repeats, but I did want to share my initial thoughts on my favorite Monday night shows. Another great Chuck and another really good Castle. You really can't ask for a better way to start a week. 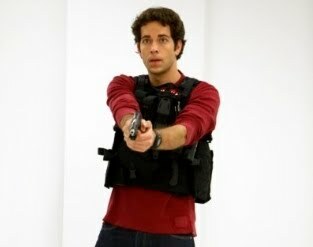 "Chuck vs. the American Hero" was one of the best installments yet (funny how I say that almost every week), and screw the haters because I think S3 has been just as good, if not better, than S2 (with the exception of the last 4 or 5 episodes). Such a shame so many people turned their backs on such a great show. 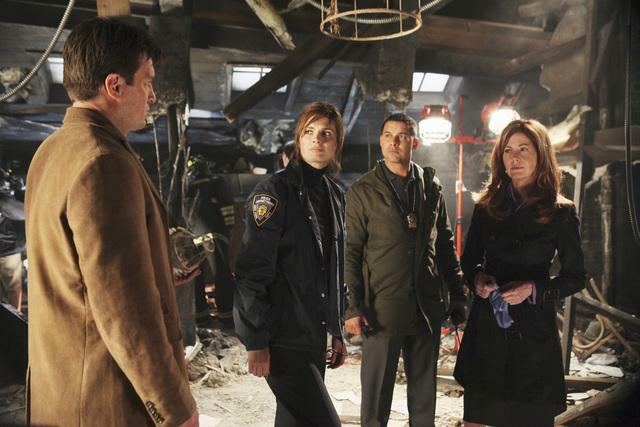 "Boom", the second part to Castle's big two-parter was really good, but not as great as part 1. Of course we got some great Castle/Beckett moments, but I just felt like we kept getting hit over the head by some of the plotpoints. I swear Agent Shaw said chameleon four times in less than five minutes. Plus, we didn't get enough Ryan & Esposito for my liking. "Boom" was still great TV, but not the bestCastle has to offer. I did love seeing Kate cook breakfast though...it felt natural, like they're a little family. Another great thing about Chuck and Castle being on Mondays is the fact that Tuesday is just as good since both shows end up in my Hulu queue, and I can re-watch them before LOST. I think I watch too much TV.